You’ve decided that you really need to buckle down and get healthy. You’re ready. You hit the gym with such relaxed confidence that your friends wonder how you have such drive and motivation. You are the envy of non-gym-goers. However, what your friends may not know is that you have a terrible weak spot, one that they themselves may actually be contributing to. After-work cocktails, golf-outings with the boss, girls night out, watching the game with the guys… The list is endless. Being social in our society equates to eating and drinking with our peers. Anyone who chooses not to imbibe suddenly has a target on their back. The other people in the group suddenly feel the need to make overt comments deeming the non-drinker or the healthy-eater the black sheep of the group. The target put on your back at work-related or social outings unfortunately does not end at the outing. Many people feel that if they don’t have “another round” or heel to going to another event, they will not get promoted at work or they will lose friends. But since when has saying “no” meant you can’t be any fun? Since when does it mean you are not a part of the work team? We all like to feel like we are a part of something but at what cost is it when it involves your health? You may not think saying yes to a few extra beers on the golf course with your boss would do much. But over time, extra empty calories can lead to everything from weight gain to blood sugar conditions to tooth decay and high cholesterol. Despite some studies that say one glass of alcohol a day for women and one to two a day for men can have positive health effects, five glass of wine a week alone can lead to a weight gain of a little over eight pounds a year. In mass amounts, alcohol can also lead to a shortened life span. And often times, along with cocktail hour comes every-appetizer-on-the-menu-hour. 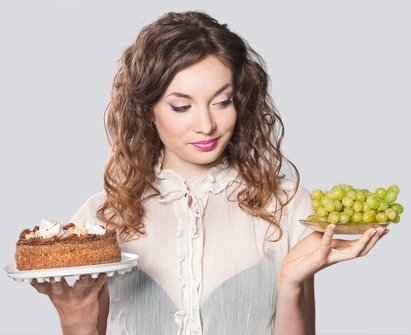 Many people consume over 1,000 extra empty calories at events in addition to the essential food they eat during meals. So when the group rallies around, start weighing your options. But there’s more. Saying “yes” to peer pressure means more than just the health conditions that could follow from a poor diet. What you are doing when you concede to the poor habits of other people is saying I’m not as important as you are. Sound dramatic? Remember the comment, “If everyone jumps off a cliff would you?” Why let people walk all over you when you want to improve the quality of your life? What’s the worst that could happen if you only had one drink and sipped water the rest of the night? The saying, “everything in moderation” could not be more true but you have to be the one to moderate. If the people in your group give you flack, they themselves may not be mentally strong enough to do the same for their health. You have to be the strong one. You are the one who wants to move forward and improve yourself. It may take you saying “no” more than once, but the more you stand up for yourself the more your co-workers and friends will likely take notice. And when they do, they will realize that you are not saying no to being a part of the group. They may even ask you which gym you belong to or about the kinds of workouts you do. You’d be surprised at what happens when you don’t succumb to your social bully and you stand up to a long, healthy life!